A perfect way to introduce the music from one of Broadway's classic musicals. Originally staged in 1960, Lionel Bart's musical tale of Dickens' Oliver Twist still charms today's audiences. Includes: Consider Yourself, Food, Glorious Food, I'd Do Anything, and Where is Love?Available separately: SATB, SAB, 2-Part and ShowTrax CD. Performance Time: Approx. 8:00. 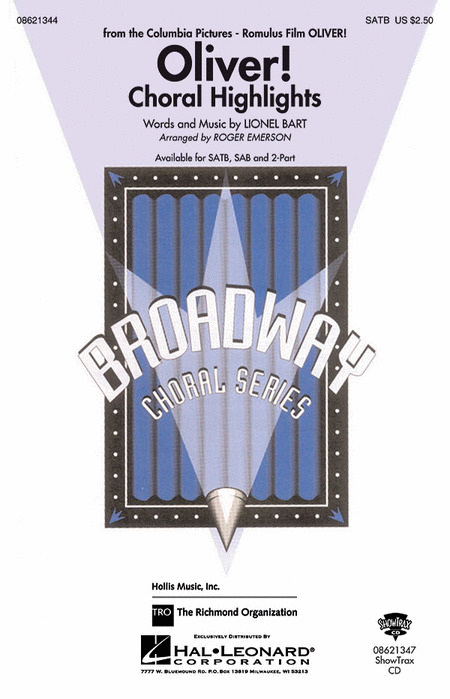 Arranger: Roger Emerson | Composer: Lionel Bart | Musical: Oliver!